People are moving towards a more natural process to treat infections and stress and to relax mind and body. Among many treatments available, aromatherapy is gaining popularity as the inhaled aroma from essential oils is believed to stimulate brain function and also helps in whole body healing. Researchers are also studying the properties of various essential oils to help in healing allergies, cold, boost the immune system, tackle breathing problems and promote sound sleep. Meanwhile, properties of new essential oils are also being studied to find out a solution to other problems or diseases. While getting approval for new essential oils is becoming difficult as manufacturers need to specify the purpose of essential oil. However, some essential oils have restricted application. According to the report by Research Report Insights (RRI), in terms of product type, consumables is expected to witness highest growth rate owing to efficiency and therapeutic grade of these essential oils on applying topically or inhaling directly. The consumables are anticipated to reach $4,000 million by 2026 end, registering 7.8% CAGR between 2016 and 2026. Moreover, consumables segment is anticipated to remain attractive in aromatherapy market in North America during 2016-2026. 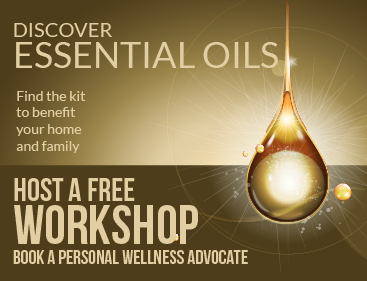 New oils are being introduced and imported from various countries to meet the rising demand for essential oils in North America. Global aromatherapy market, projecting the US$ 3.8 billion market to soar at a healthy 7.7% CAGR and reach US$ 8,058.8 million valuation by end of 2026. However, many essential oils have restricted use. Hence, misclassification and absence of proper guidelines can restrict the growth of consumables segment in aromatherapy market. Various studies on aromatherapy and essential oils are being conducted globally. Some of the research studies have shown a positive effect of essential oils and aromatherapy treating various health conditions such as pain, infection, anxiety, premenstrual syndrome, tumor, nausea, depression and others. However, conducting research on essential oils is facing issues such as it is difficult to get funds for research on essential oils, the essential oils are not standardized, in most of the cases essential oils are applied with massage, hence it becomes difficult to determine if outcome was due to the essential oil or massage, or both. Meanwhile, researchers at Okayama University found that aromatherapy massage can help to manage anxiety. While complementary therapies have been found to reduce symptoms of stress and anxiety, thus reducing the chances of heart disease and hypertension. The study conducted, resulted in decreased blood pressure readings, owing to aroma foot massage. It also decreased anxiety and increased the mental-health quality of life.